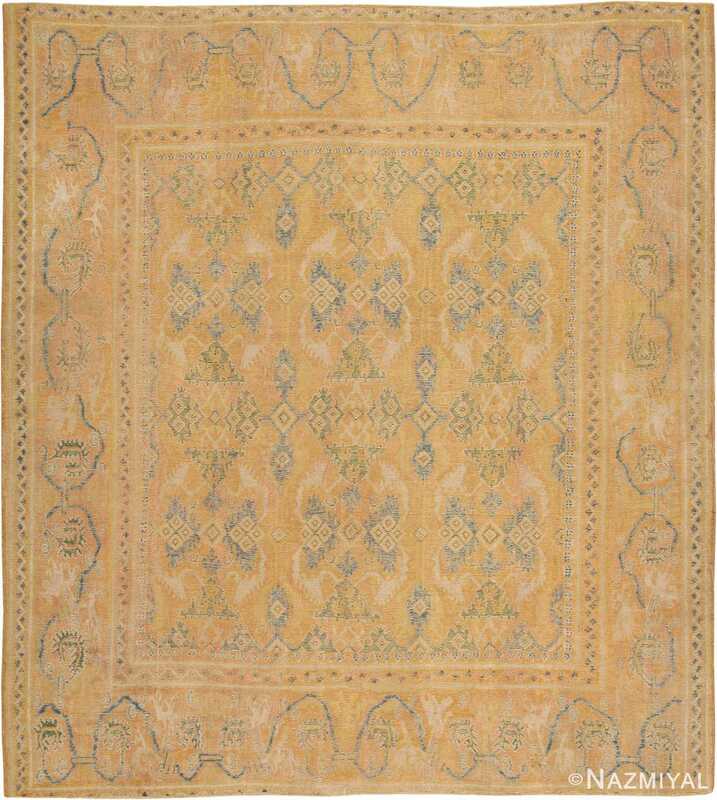 Spanish Rugs – Although Spain is not generally thought of as a rug producing region, Spanish rugs represent the most venerable and honored tradition of rug production in Europe, going back to the time when much of Spain was part of the Islamic world. 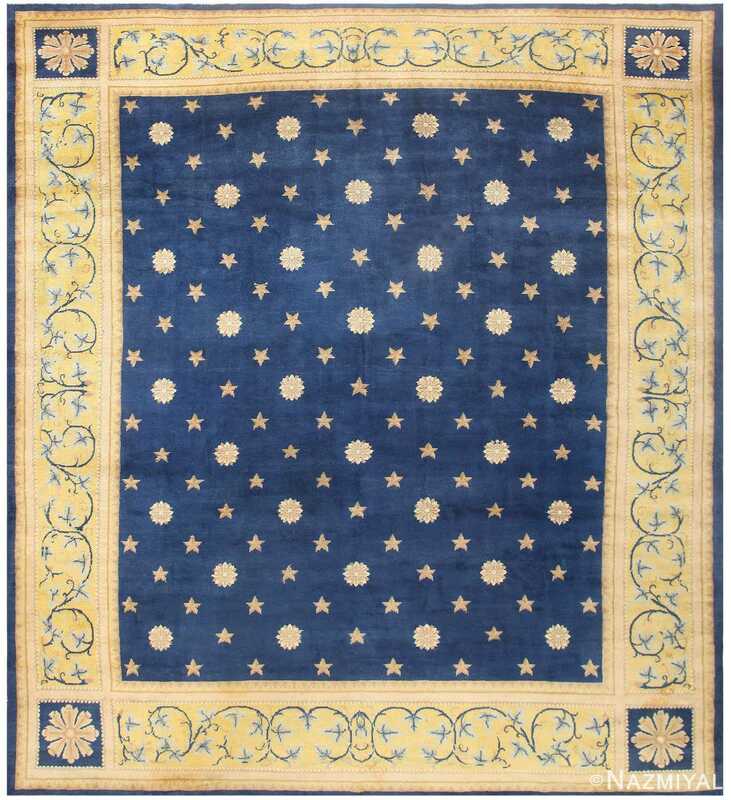 Still, Spanish rugs were not Moorish products; native Spanish weavers had already learned the technique of making rugs by the fourteenth century, and they have continued to do so up to the twentieth century. 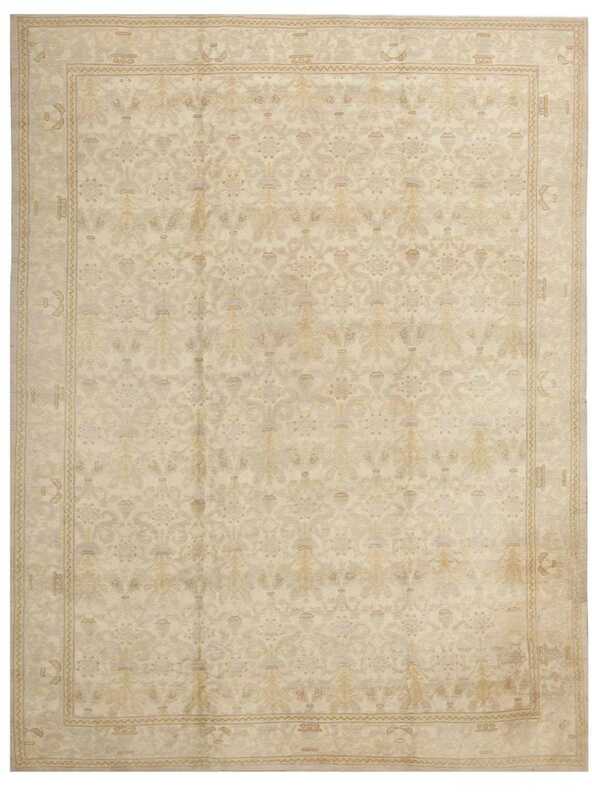 The antique Spanish rugs have a weave like no other pile rugs. 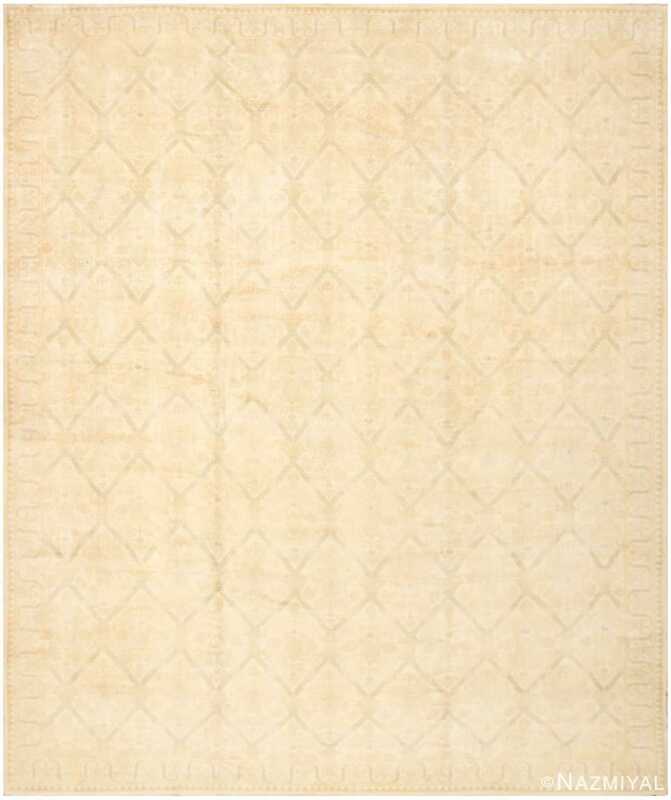 These magnificent Spanish carpets are truly knotted, not looped, in staggered rather than superimposed rows. Their coloration has always been soft with dominant ivory grounds and pastel greens and yellows. 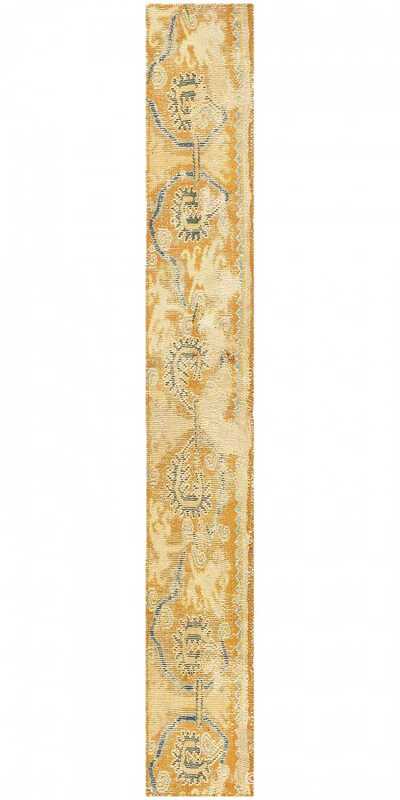 Although some early antique Spanish rugs imitated the designs and patterns of the antique Ottoman weavings, they soon developed a distinctive, uniquely Iberian or European style of vine scroll ornament. 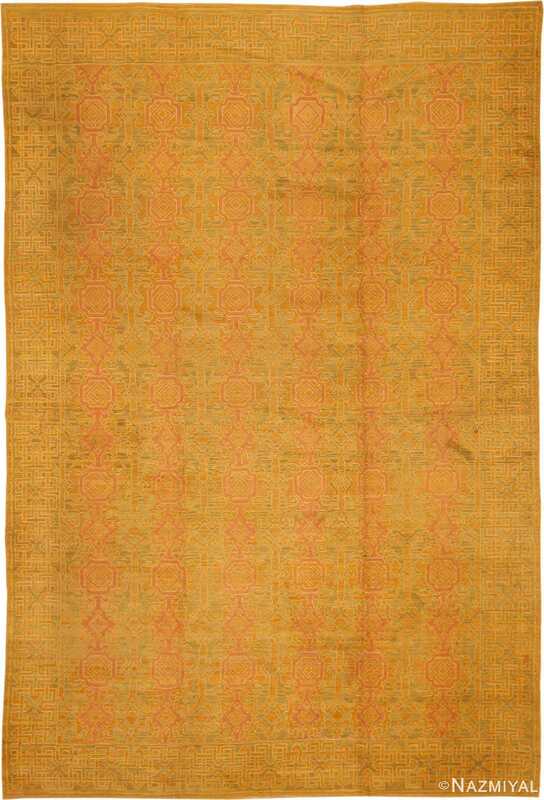 Early Spanish rug are highly desirable and coveted by collectors. 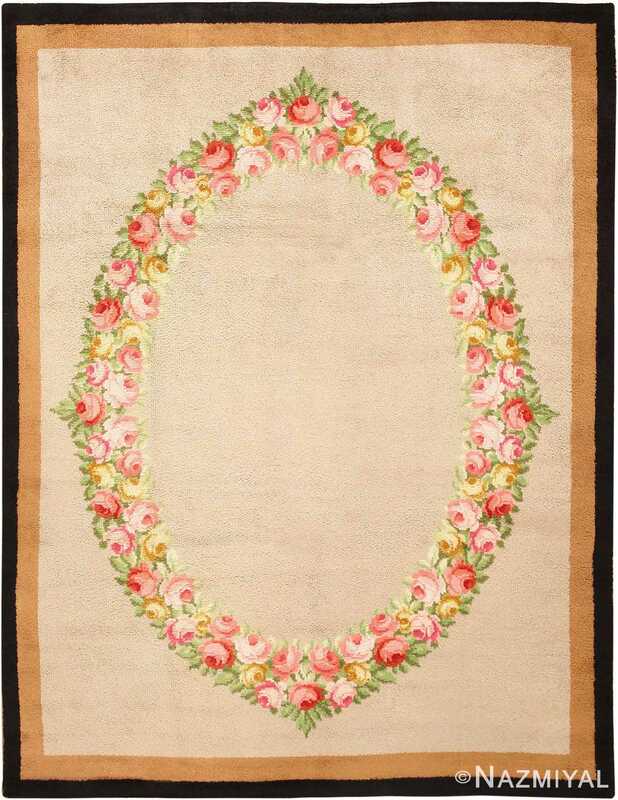 This is contrast to the nineteenth and twentieth century Spanish rugs which are sought after by consumers because they make excellent room size decorative rugs for many different home decorating aesthetics. 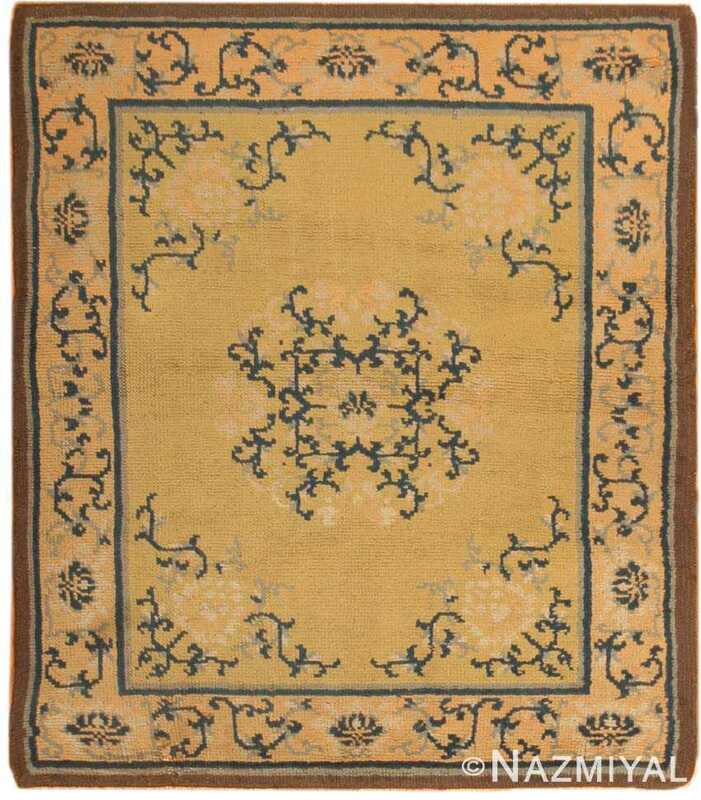 During the Islamic occupation, Spain was the first country in medieval Europe to make knotted pile rugs. 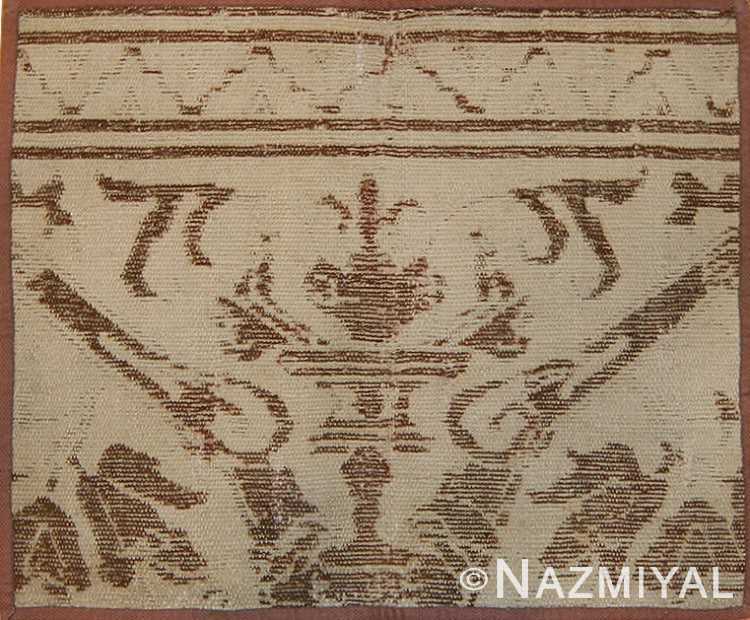 Under the Islamic rules, the carpet weaving industry flourished from the 8th century through most of the 15th century. 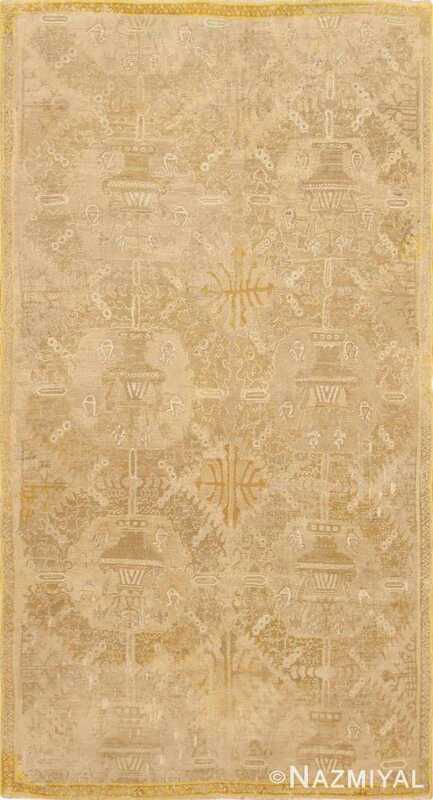 The earliest existing Spanish carpets were woven during the 15th century and depict a multicultural lineage. 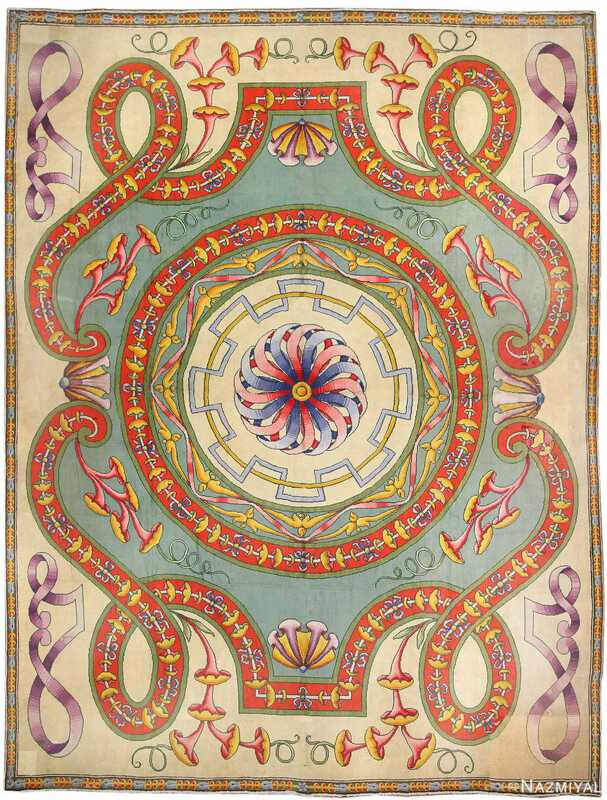 Christian, Jewish, Muslim Arab and Berber populations co-existed for eight centuries and their combined artistic influence is reflected in their designs. 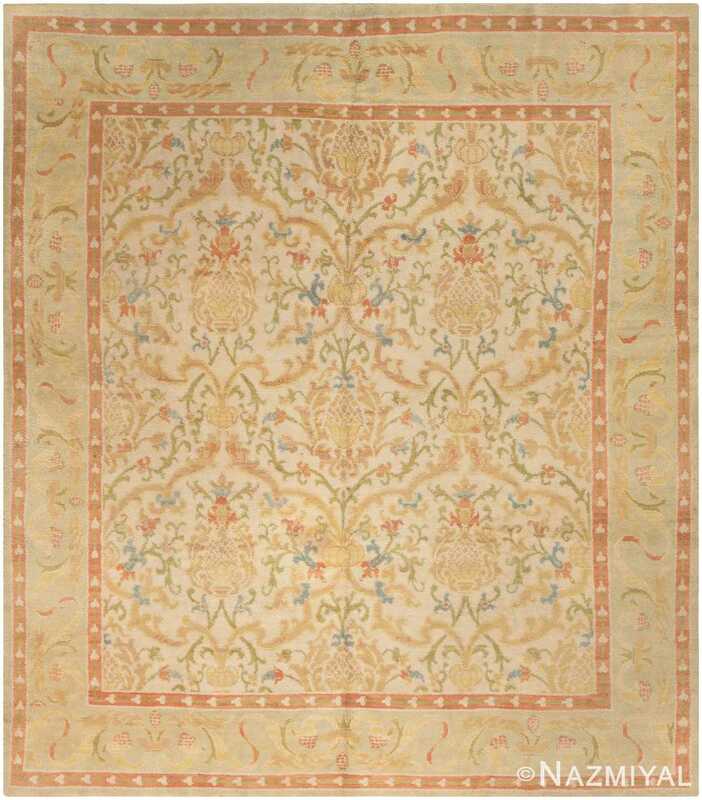 By the 11th century, Spanish rugs were exported to the Orient, England and France. 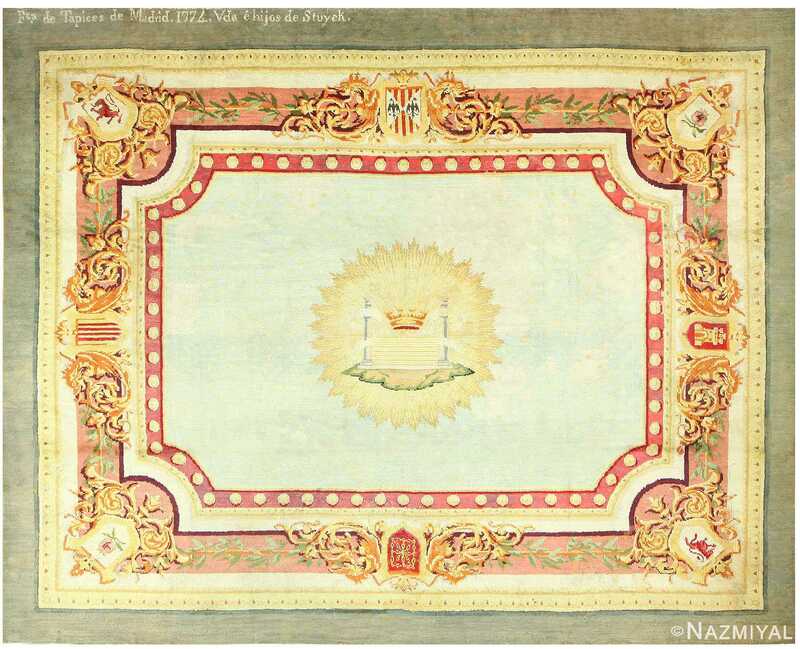 Muslim and Christian princes and their courts admired and collected these magnificent antique Spanish rugs. By the 17th century, Spain’s economic depression coupled with the expulsion of Jews and Muslim artisans left the country artistically bankrupt. 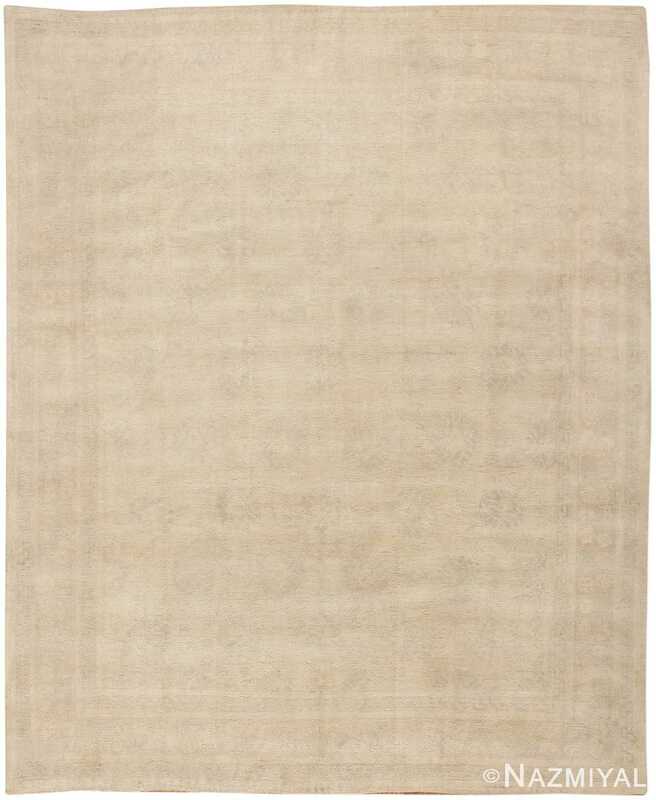 It was only with the help of rich patrons and the support of the monarchy, that the rug industry survived. 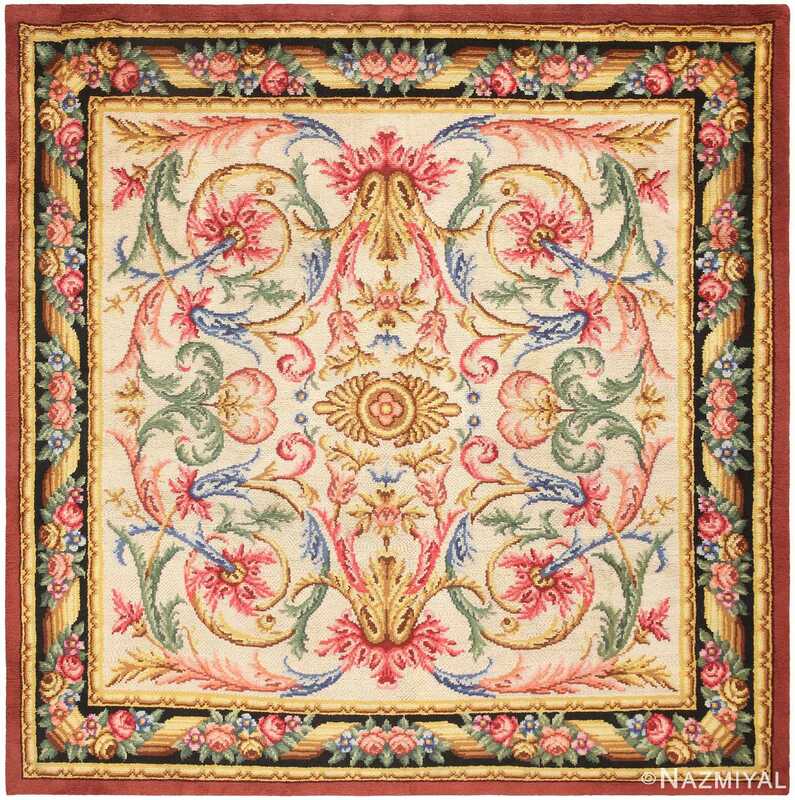 As a result, Spanish rug weaving followed the trends of France and England. They also followed the influences of the originality of diversity which gave way to a more Western and far more decorative approach. 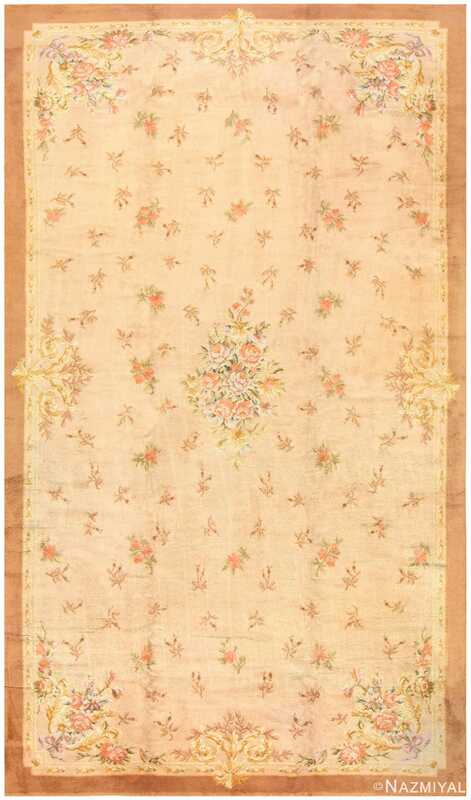 This lovely antique Spanish carpet exudes an air of sophisticated elegance almost reminiscent of a silk brocade. 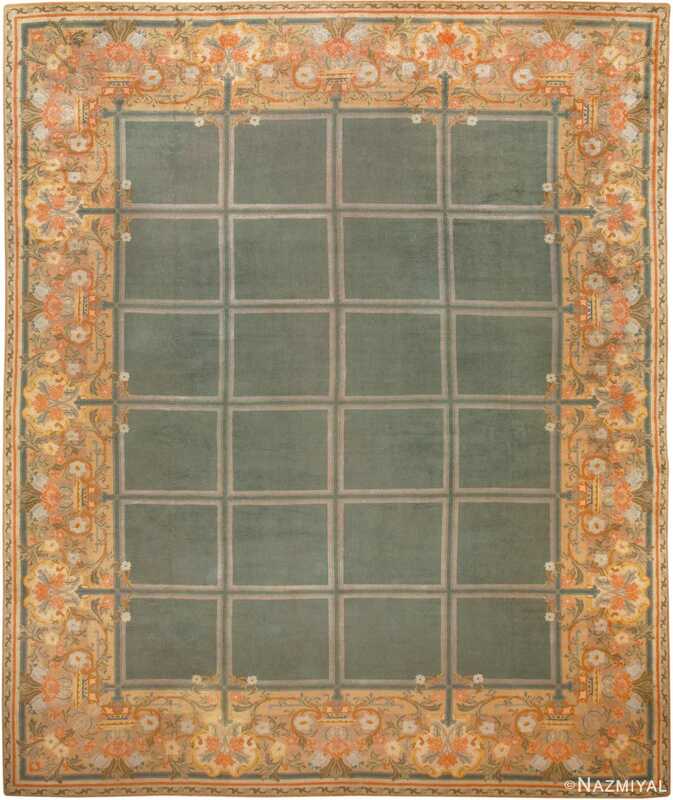 This rare and outstanding example preserves the design of the earliest antique Spanish carpets. 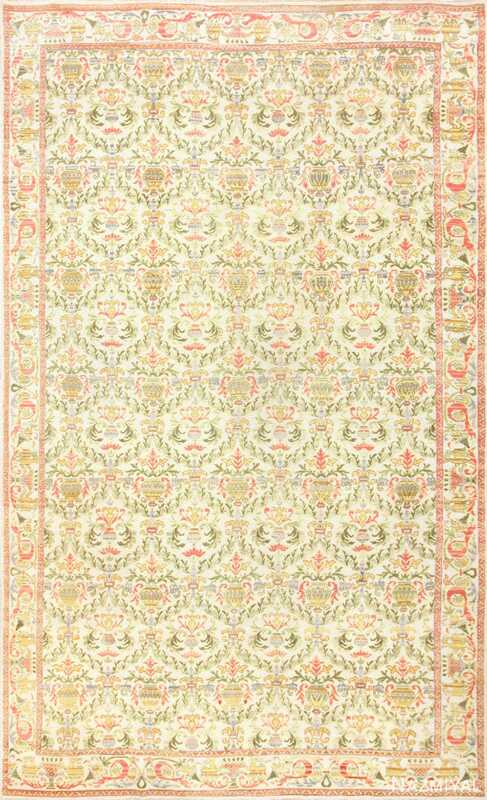 Inspired by classical European designs, this vintage Spanish rug depicts an exquisite repeating pattern of intertwined latticework trellises that frame gold piñas.